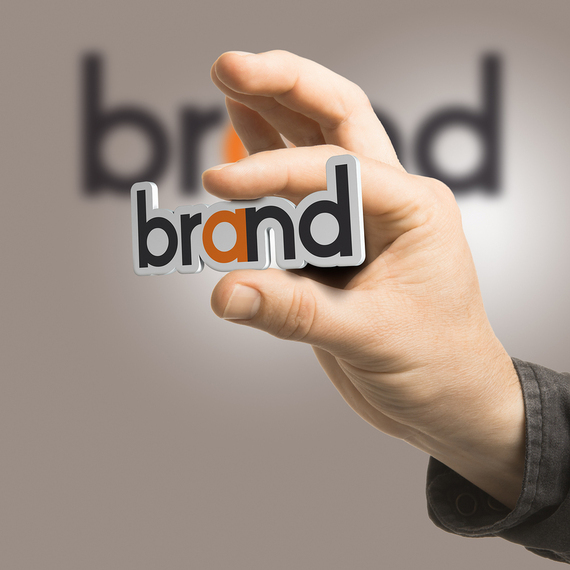 Branding is a way of defining your business to yourself, your team as well as your esteemed customers. We are going to look at the secret behind branding yourself to get more and more customers. Branding yourself is a way of defining your business to you as an individual. Branding yourself is loaded with gems and takes you on a journey of self-discovery, providing enough insights, tools and valuable information to market your unique brand with what exactly you need to attract more customers to your business. Most of the time, people don't see their inner beauty or let's say they wear a mask to cover up what they consider to be imperfections, when in real sense it's those qualities that need to be revealed. Well, entrepreneurs have always been focused on building brand names for their companies, which is a good reason. Which other way would people know they exist, what they offer and even their location. We are living in a vibrant world where consumers and journalists are looking to connect directly with entrepreneurs and hear what they have to say. It's not only about what your company does, but the reason you started it, its sole purpose and your vision. Margarita Hakobyan, CEO of Movers Corp points out some of the top ways to brand yourself to attract more customers. On the surface, it may resemble other ideas on personal branding but you will be surprised to discover that Branding Yourself is more of a holistic guide to help you connect with the real you and how best to present yourself to the world. Here are eight tips on how to successfully brand yourself to attract more customers. Choose a motto that is simple and is reflective of your personality and professionalism. A motto that will stick to people's mind and help you put much focus on your goals. Remember that your motto must be the reference point for your clients. Simply refer to it as the Golden Rule whichever business you may have, whether you're on trading, buy and sell platform, online shopping, branding or any other service business. How you connect your brand with potential customers is critical. Getting through calls, meetings, appointments, etc is not all. Take some time to connect with other people you are talking to. This will involve a lot of communication. Customers always want a company they can quickly identify, and a logo will do. Also, every time you send emails, letters, postcards make it personal. Use your real name to show your customers that they are not just ordinary customers but potential ones. Be kind enough to send birthday and holiday greetings. This makes people feel appreciated and is not just a mere dollar sign! To get as many customers as you want, you will require networking. Whether you outsource your marketing or do everything yourself, staying active on different platforms is essential. Join some of the best networking sites, groups and clubs. Social technologies such as blogs, Facebook, LinkedIn and Twitter have a perfect platform to connect directly with the audience you need and build relationships on a global scale. Make yourself available for help, advice and guidance. You need to become the brand. Maintain high standards of honesty with people. Avoid the use of deceptive lines and tricks to get people aboard. Market yourself in the best way you can and let them know what you can do for them. If you discover that you cannot meet their needs, there is always a solution, point them to someone who have the capability. You will score big for being interested in helping, and they will come back when you can fulfil their needs. Your body language can have a real impact on people perception towards you. Ensure you stand upright and maintain eye contact. Your eyes should show interest and friendlessness. Your eyebrows should bring out a sign of openness and understanding. Further, keep your eyebrows relaxed and don't scrunch them in a disapproving manner, this may show lack of confidence which is not good in the branding process. Keep your arms unfolded maybe you can put some gestures for emphasises but not too much. Sit in a relaxed manner with a good posture. Avoid fidgeting at any cost. The art of using body language will work magic in getting potential clients for to seal the deal. Being courteous when receiving phone calls or responding to emails will work perfectly in your journey of getting more customers. Write emails with proper spelling and grammar. Do not use offensive language, words or phrases. Use of vulgar or offensive language never goes unnoticed. People will always remember how you treated them whether during a phone call or an email. If you don't believe in yourself, don't expect other people to put believe in you. Be positive in mind, spirit and attitude. Act professionally when communicating with clients and always be positive about what you say. This makes people think highly of you which is plus in getting more customers. Well, branding yourself helps a lot in building your business. Further, it helps you form a lasting and beneficial relationships with others in a professional way. You will learn more about yourself and others and above all you will realize how special and unique you are. Which is the best reward you will ever have?